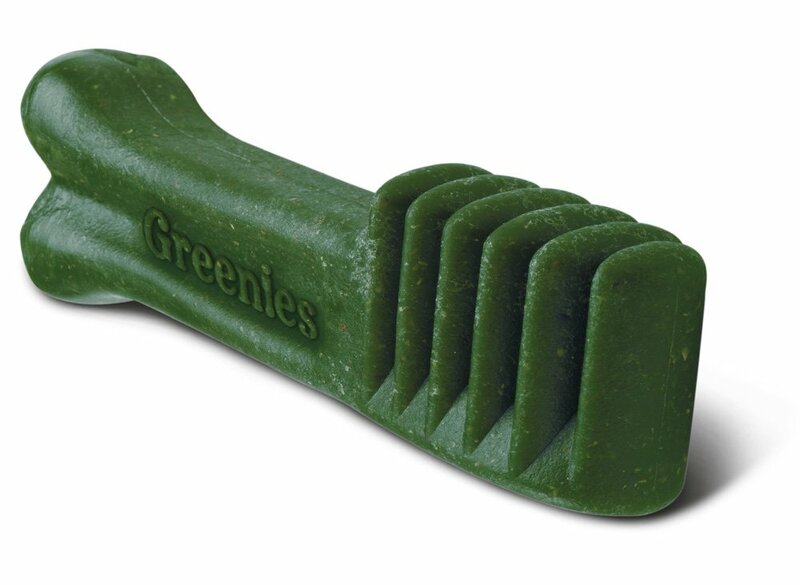 As the top vet-recommended dental chew,* GREENIES Dog Dental Chews provide a daily treat while controlling plaque, tartar buildup, and bad dog breath. Our natural dog chews come in a TEENIE Size for small dogs 5 to 15 pounds. These healthy dog dental treats are made from natural ingredients that are safe to digest, care for your dog's teeth and taste great. Give your pooch the oral health they deserve with our 130-count pack to clean their teeth while providing complete, balanced nutrition. * GREENIES Brand is the number-one vet-recommended dental chew for dogs in pet-specialty stores, among U.S. veterinarians who recommend dental chews for at-home oral care.